This entry was written by admin on March 12th, 2013. 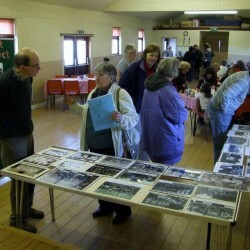 At a recent Coffee Morning, the Local History Group set up a display of photographs of village life and information about the Blennerhasset: From Fort to Farms project. 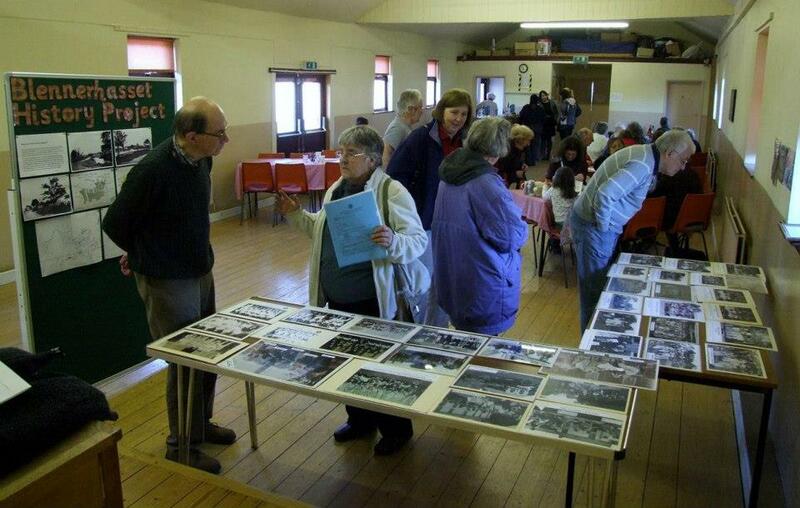 The event was well-attended and, as people enjoyed their tea and coffee and a good selection of excellent, home-made cakes and scones, they were able to chat to group members about their own recollections of life in the village. Many of the photographs, dating from the Victorian era through to more recent times, featured recognisable characters who were spotted by relatives, friends and neighbours. Several fascinating conversations ensued about the school children (several of whom were at the event, now somewhat older than in their photographs!) about the cricket and rugby clubs, the carnival, fancy dress events and pensioners’ day trips. An example was displayed of how the history of a house (in this case Beech House), and those who have lived in it over the years, can be traced through local record centres and on the internet. There is a great opportunity to find out more about how easy it is to do your own research on your house and its past occupants at a special event in Blennerhasset Village Hall on Thursday 14th March at 7pm. There was also a display concerning the remains of a Roman Fort that lies in the fields of Mrs Batty and Mr and Mrs Tinniswood, just to the east of the village, near Harby Brow and the pele tower. This is thought to be the largest fort of its type in Cumbria and a magnetometry survey will be carried out later in the month to find out more about what lies just below the soil surface. The results will feature on the website and will be discussed at the event on 14th March. Photographs of the coffee morning, pictures of the village and village events, and some of the old photographs from the display can be seen on our Facebook page.